We come here every few months for the inexpensive Mexican food. We usually have a better experience during busier times, with its livelier atmosphere. Decent food for a good price. The restaurant is an open room with a bar off to the side. 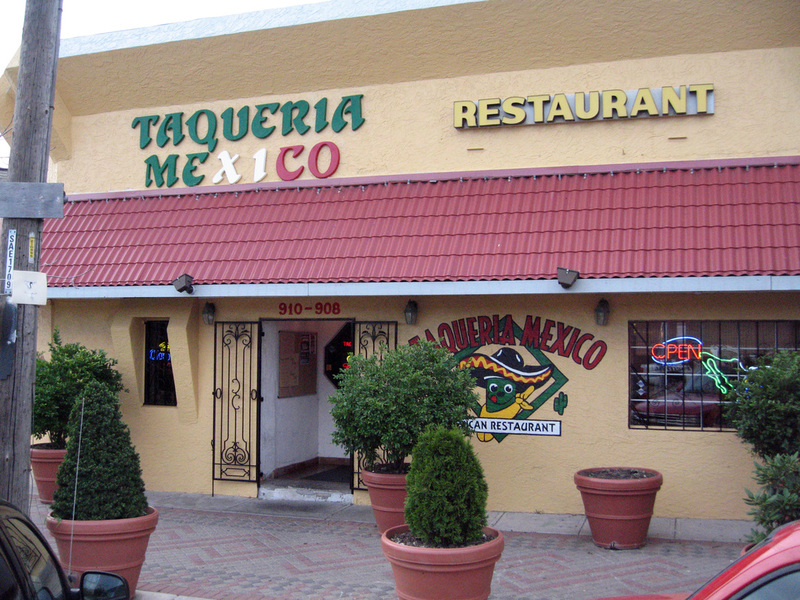 It has sparse Mexican decor with bright lighting. 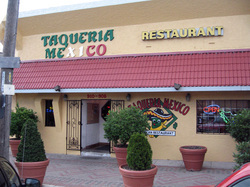 We enjoyed Mexican music throughout our last visit to this restaurant, but this time we only heard two songs since evidently, no one else activated the juke box. Two people (possibly employees) where watching TV in the next room. Service seemed acceptably casual for this sort of restaurant. Our servers was pleasant, but a bit slow. We were told there would be a delay with our margarita since the machine was off and took some time to get cold. After our entrees had been served, we did not know if our server had forgotten to serve the tortillas for our fajitas or if he was intending to deliver them to us momentarily. He came back several moments later with our tortillas. Later we were able get our servers attention as he made by our table into the other room. He later asked us to hand him the ketchup (at a Mexican restaurant?) off our table so he could give it to another customer. You can order from a dozen different meats on many of the dishes. Tacos were full of meat but the shredded pork and chicken was a bit dry, although it had not been that way in the past. Beans seemed homemade, not canned. Chips and salsa were non-descript. The $3.50 margarita seemed a bit sweet for someone in our party so she order an additional shot of tequila to fortify her drink. 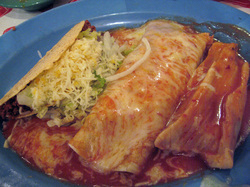 Serves Mexican breakfast, lunch express, and dinner. Certainly I've had better Mexican food, but the food here is adequate and priced at a good value. The restaurant seemed clean. However, on the day we rated the restaurant, there were an unusually high number of flying insects around our table. A fly landed in our salsa and could not get out without our assistance. A nat somehow got stuck on moisture on the lip of our margarita glass. We had to swat at other flies and nats flying around us. Reminded me of Mexico. Cheap food, inexpensive drinks and drink specials. Colorful and easy to read menu with pictures. Four locations in the greater KC area with convenient parking. Not too many negatives here. A bit quiet if no one puts money in the juke box. Some of the help may not speak English.